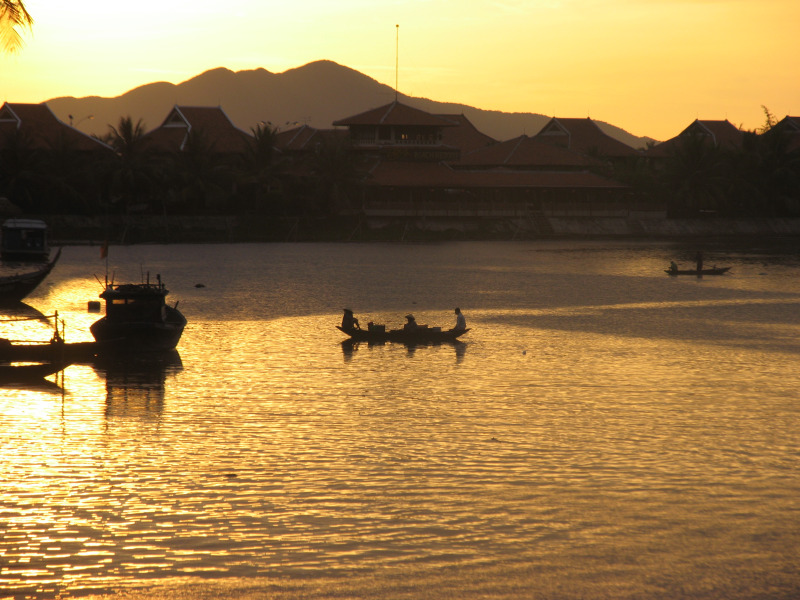 Vietnam - is an amazing country, its unique identity. She fall in love with at first sight and leaves are bright, colorful memories of the holiday. If you are looking for miracles, magic and exoticism, Vietnam will give you their full! 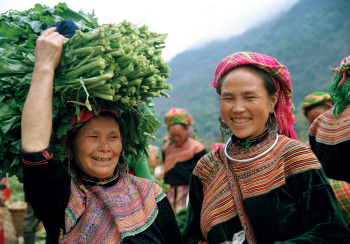 Different, dissimilar, but balanced, holistic, Vietnam embodies all that we know from childhood about Asia. Aromas of spices in the air, exotic local cuisine, witches, ready to tell the amazing story, quick rickshaw with his tent, coconut toffee, lotus flowers and ancient temples - all of Vietnam. 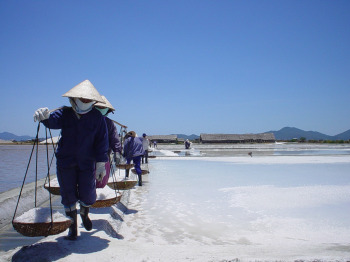 If you are looking for the unknown, amazing adventures, new experiences, choose holidays in Vietnam, photos from the trip show friends, their enthusiastic response once again convince you right choice. Vietnam hit various landscapes. Here you will find mountains, drowned in the fog, rice fields, merging with the horizon, rain forests and jungles, and of course, winding coastline that stretches for thousands of kilometers. Elegant white beaches, beautiful sea make soft beach vacation in Vietnam hotel.Holidays in Vietnam with kids is perfect for couples who are looking for solitude, tranquility and superior service. Safe haven, charming cozy villages, lush exotic gardens fill the feeling of happiness and harmony, picturesque bays and lost island will remain forever in the memory. In fishing villages you can always buy the freshest, most delicious seafood, local crafts and cashew nuts. You can choose the resort, on the basis of personal preferences and objectives of the trip. Rhythmic metropolis that never sleeps, such as Hanoi and Saigon Halong romantic legend, the waters of which sleeps Red Dragon, sparkling waterfalls Sapa - all of Vietnam, Mui Ne, rest which relaxes and fills with new forces, Nha Trang with its modern architecture and old Monkey Island, Ho Chi Minh City with numerous museums - all of Vietnam. Vietnam is adjacent to the three countries of Asia, which, if desired, you can also visit. 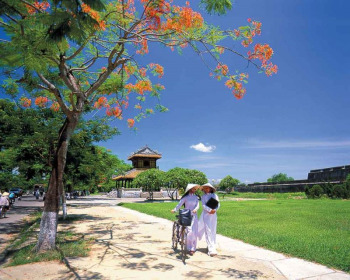 Tours Vietnam-Cambodia are very popular today because it possible to compare and evaluate the beauty of the two countries, to make excursions, meet the local folklore, cuisine, traditions and beliefs of ancient peoples. 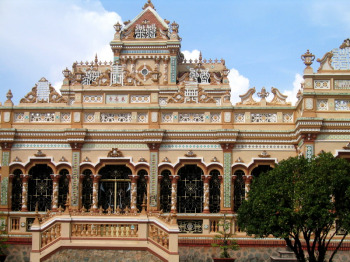 Tour Vietnam-Cambodia-Laos opens up even more opportunities to get acquainted with a long history of Southeast Asia, its rich culture and natural beauty. 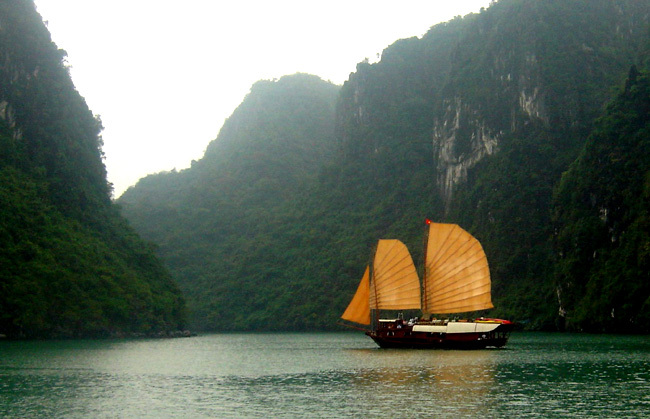 During a leisurely time, friendly and peace-loving people, disinterested smile and a deep love for life - that's what the famous Vietnam. The country - a source of inspiration for creative people, a great choice for sports fans, the ideal environment for families with children and the honeymoon, lively nightlife for active party people. Fell in love with Vietnam, he smile, and your love will remain with you forever. Official name: Socialist Republic of Vietnam, Cộng Hòa Xã Hội Chủ Nghĩa Việt Nam (vet. ), The Socialist Republic of Vietnam (English) The state in South-East Asia, the Indochina Peninsula.Bordered on the north by China (Yunnan, Guangdong, Guangxi Zhuang Autonomous Region), in the west with Laos and Cambodia. In the east and south by the South China Sea.Capital - Hanoi  (21 º 13 'N, 105 º 48' E) Area: 329,314 km ²; Population 84 million 110 thousand people . (2006), 27.1% - urban, Key People: Vietnamese 88%, tho 1.9%, mining 11.7% Thai, Muong 1.5%, Chinese 1.4%, Khmer 1.4%, Nung 1.1%, 0.9% Hmong, and people Banar, chamre, sedang, Chams, kaolan, Miao, Yao, mountain Mons (there 53 ethnic groups)Official Language: Vietnamese, head of state - the President (elected by the National Assembly from among its members for 4 years, from June 27, 2006 - Nguyen Minh Triet) Prime Minister- Prime Minister (candidate nominated by the President and approved by the National Assembly for a term of 5 years, from June 27, 2006 - Nguyen Tan Dung) Parliament - one-chamber, the National Assembly (450 members elected by direct universal suffrage for a term of five years), phone code 08.10.84 The time difference with Moscow: 3 hours; Currency: Dong (VND, in Vietnamese VNĐ), $ 1 = 20,500 VNĐ (on 06/01/2012)Domains on the Internet -vn.